I've been down emotionally and physically the past few days but now I'm trying to get back on track. And what better way to start than by posting about good food, great service and majestic city landscapes eh? The Nest at Vivere Alabang is located at the 31st topmost floor of Vivere Hotel and Resorts in Filinvest city Alabang. I've been here a couple of times before, loved and still love their service, and until now I'm still wishing that pichi might bring me here for a romantic date sometime soon... 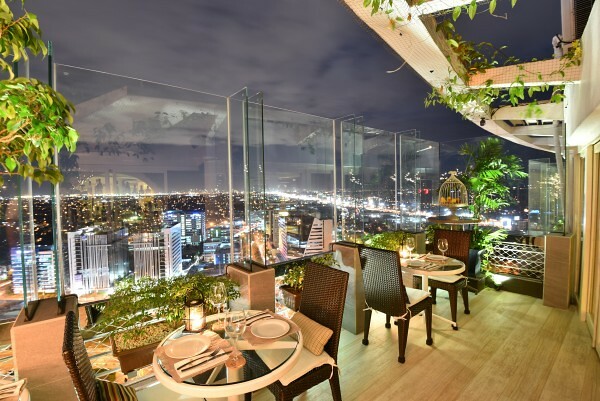 But it was just now that I have seen their restaurant so contemporary and in the times when it comes to the ambiance and view. 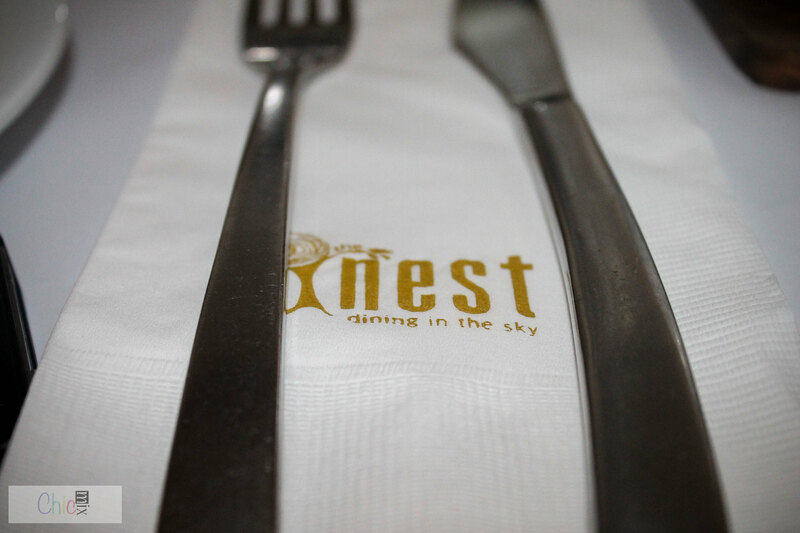 Click here to check out their panoramic 360 view... Just click on the picture with the words "The Nest" and you'll get what I mean with it's magical view that's pretty perfect for those romantic dates or just a night out with friends and great food. 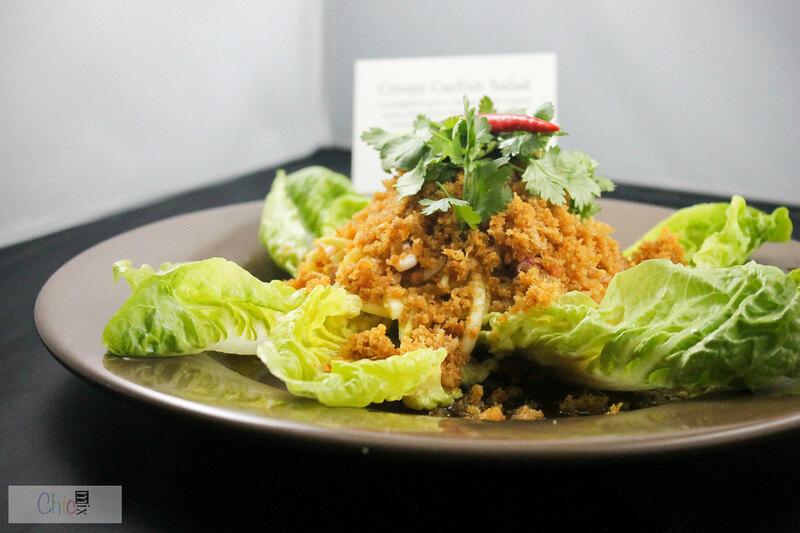 Crispy Catfish Salad is essentially green mango salad topped with crispy fried flaked catfish meat, onions, peanuts and cilantro leaves. I think this would've been better with a bit of dried pepper on top, and for that it's on the sour side. 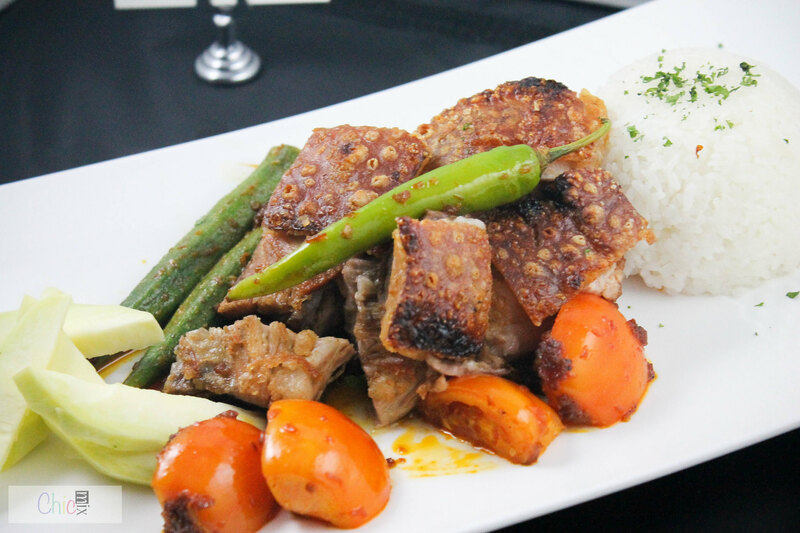 I loved this nonetheless and you should not get out of the nest without trying this dish. 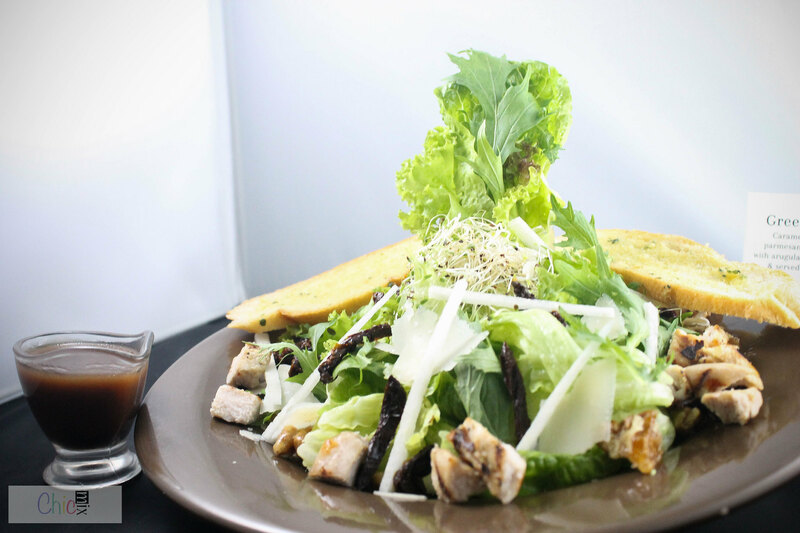 This Greek Goddess Salad is pretty beautiful and yummy, and it's paired with a strawberry vinaigrette which makes it the perfect salad to give to your kids and make them appreciate the greens more as the vinaigrette is a bit on the sweet side. Unfortunately for those with allergies with nuts I suggest you ask first cause this baby has walnuts and also chicken. 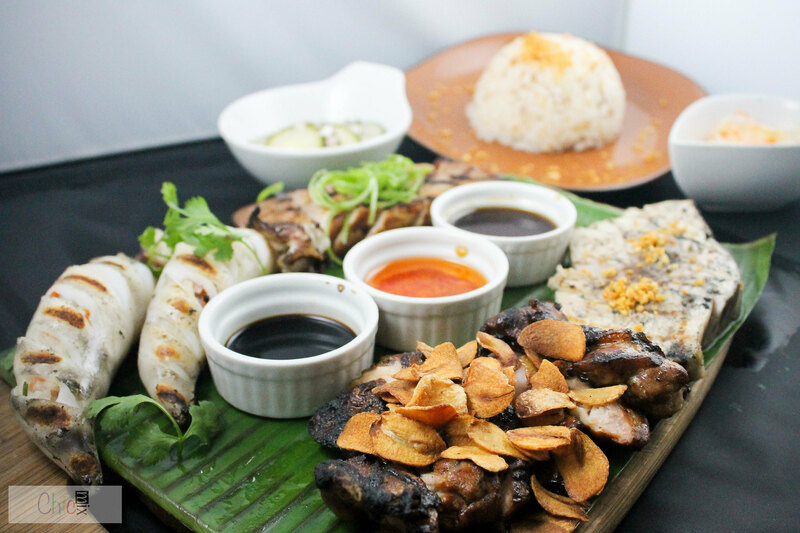 This is The Nest's newest dish- the Grill Platter which has a little something for every part of the family. I had tasted the pork belly of this dish (very tender), the Marlin and the squid is also flavorful to the point that you don't really need the sauces and it can stand on it's own, but I also recommend having their chili along with the soy sauce for more yummyness. 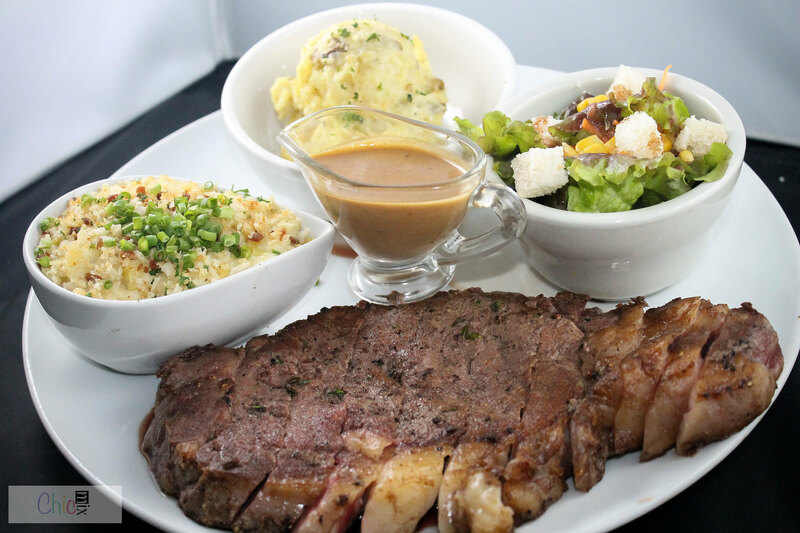 Their Bistecca Steak is essentially a 400-gram imported slab of ribeye steak, served with mashed potato that is rustic to the taste, cream of cauliflower and peppercorn demi glaze sauce or gorgonzola sauce. This dish for me is a hit and miss as I usually like my steak medium rare to medium and I felt that it was a bit tough to chew. Pity because the steak is pretty tasty already on it's own. The cream of cauliflower is an exciting side dish that would be perfect with the steak had it been more tender. 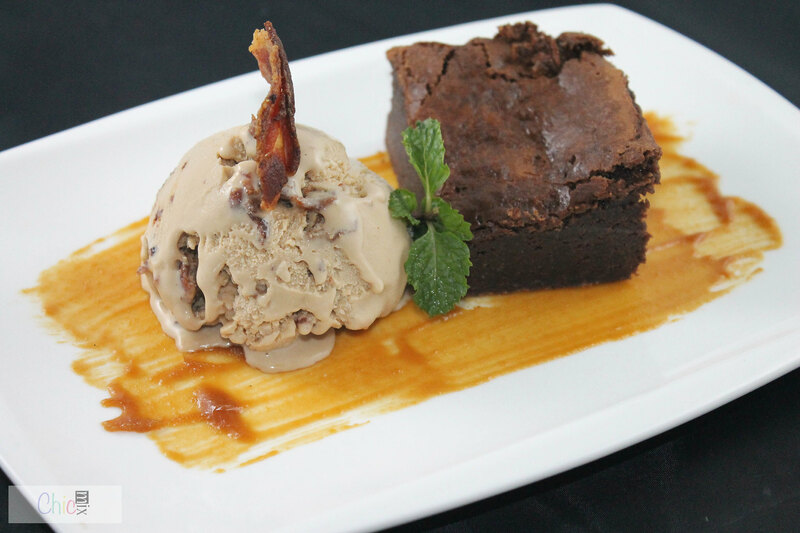 Weird but wonderful is what is The Nest's Salted Caramel Brownie with Bacon Ice Cream. The bacon blends in well with the ice cream and feels like eating nougat up until that last aftertaste wherein you'll realize that what you just had was bacon. It was perfect cause it's caramelized. YUM! 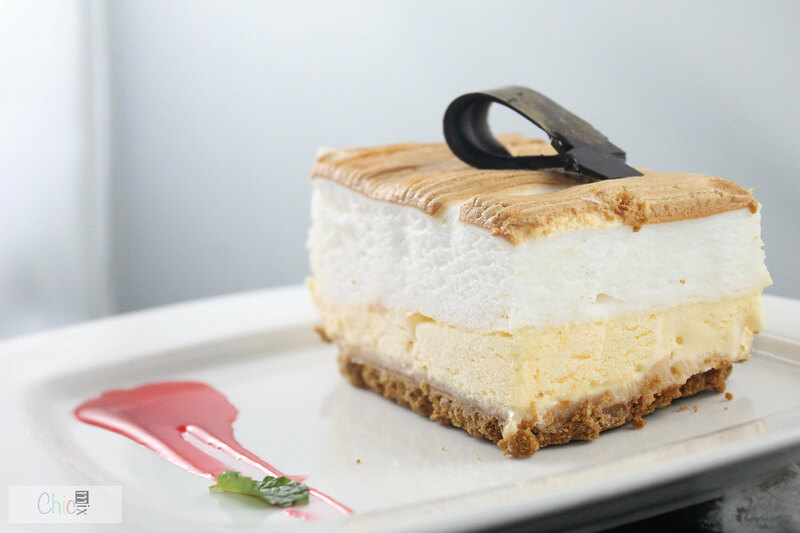 This is my favorite of the night- the Frozen Brazo which is a layer of ice cream and that old time classic brazo on top. Can I say heaven cause it truly is one. It also doesn't disrupt the taste of the sangria that I had (the white wine and lychee and peach flavored one) which was a bonus. Ah, the legendary The Nest's Mango Creme Bruleè that swept the tastebuds off my friends and co- bloggers. This is pretty much almost perfect except for the mangoes which I think were overripe. 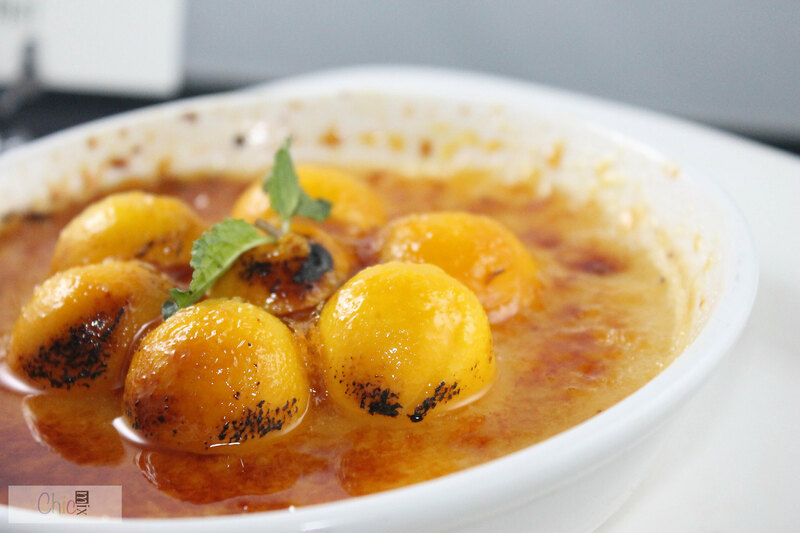 The promise is there, and I can tell you that it is one dish that you wouldn't like to share cause you'll be busy scarfing it down on your own, but I also think that they can improve it by making the custard base a bit more firmer than what we had.